1786 – Shays’ Rebellion, an armed uprising of Massachusetts farmers, began in response to high debt and tax burdens. The Massachusetts legislature raised taxes to pay off their large Revolutionary war debt. Taxes on land rose more than 60% between 1783 and 1786. Revolutionary War veteran Daniel Shays led four thousand rebels in rising up against perceived economic injustices and suspension of civil rights (including multiple eviction and foreclosure notices) by Massachusetts, and in a later attempt to capture the United States’ national weapons arsenal at the U.S. Armory at Springfield. 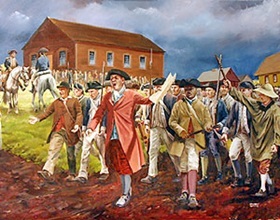 Although Shays’ Rebellion met with defeat militarily against a privately raised militia, it prompted numerous national leaders (including George Washington, who came out of retirement to deal with issues raised by Shays’ Rebellion) to call for a stronger national government to suppress future rebellions, resulting in the U.S. Constitutional Convention and thereby altering the course of U.S. history. 1942 – The Red Cross revealed that Japan had refused free passage of ships carrying food, medicine, and other necessities for American POWs held by Japan. In January 1941, the U.S. government requested that the American Red Cross begin a blood-donor program to provide ready and ample supplies of blood plasma and serum albumin for transfusions for wounded soldiers. More than 13 million donations (each about a pint) were collected. Tens of millions of food packages were prepared and funneled to Allied POWs through Geneva, which served as a clearinghouse. But getting such packages to prisoners in Japan proved particularly difficult. Japan refused to allow even “neutral” ships to enter Japanese waters, even those on humanitarian errands. 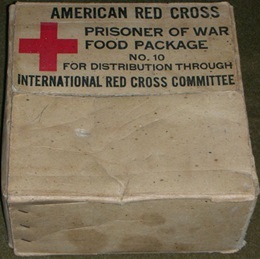 Despite protests by the Red Cross, Japan allowed just one-tenth of what POWs elsewhere received to reach prisoners in their territories. 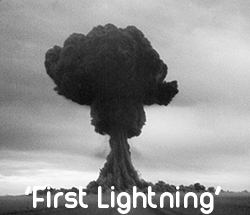 1949 – At a remote test site at Semipalatinsk in Kazakhstan, the USSR successfully detonated its first atomic bomb, code name “First Lightning”. In order to measure the effects of the blast, the Soviet scientists constructed buildings, bridges, and other civilian structures in the vicinity of the bomb. They also placed animals in cages nearby so that they could test the effects of nuclear radiation on human-like mammals. The atomic explosion destroyed those structures and incinerated the animals. The Soviet physicists who worked on the bomb were honored for the achievement based on the penalties they would have suffered had the test failed. Those who would have been executed by the Soviet government if the bomb had failed to detonate were honored as “Heroes of Socialist Labor,” and those who would have been merely imprisoned were given “The Order of Lenin,” a slightly less prestigious award. 1966 – The Beatles played their last paid, public concert in front of 25,000 fans at San Francisco’s Candlestick Park. 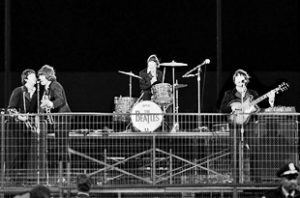 Following the concert (which found them forced to play surrounded by a wire fence for security reasons), George Harrison said (only half in jest), “Well, that’s it. I’m not a Beatle any more.” However, he was very serious when he explained the band’s decision to end touring. 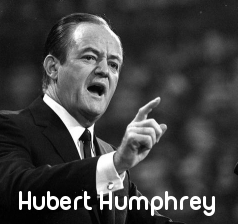 1968 – In Chicago, the Democratic National Convention nominated Vice President Hubert H. Humphrey for the presidency, bringing to a close the most violent political convention in U.S. history. In the days preceding the convention, thousands of antiwar demonstrators descended on Chicago’s streets to protest the Vietnam War and its support by Humphrey, the top Democratic presidential candidate. In response, Richard Daley, Chicago’s heavy-handed mayor, called in 7,500 U.S. Army troops and 6,000 National Guardsmen to back up his 12,000 police officers. 1979 – Jeffrey R. MacDonald was convicted of the 1970 murders of his then-pregnant wife and two daughters. MacDonald was convicted of one count of first-degree murder in the death of his daughter Kristen and two counts of second-degree murder in the deaths of his wife Colette and other daughter Kimberly after the jury deliberated for just over six hours. He was immediately given a life sentence for each of the murders, to be served consecutively. At the time of the murders, MacDonald was a U.S. Army officer (Special Forces Green Beret) and a medical doctor. 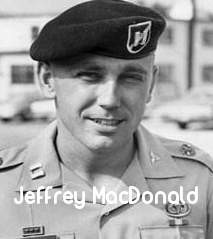 He maintained that a group of Charles Manson-type hippies committed the murders, but the army’s Criminal Investigation Division did not believe MacDonald’s version of events. They found it hard to believe that three drugged-up men could have so easily and quickly bested a Green Beret army officer; a man who had been trained for unarmed hand-to-hand combat. In addition, the living room, where MacDonald had supposedly fought for his life against three armed assailants, showed little signs of a struggle apart from an overturned coffee table and knocked over flower plant. In addition to the lack of damage to the inside of the house, fibers from MacDonald’s torn pajama top were not found in the living room, where he claimed it was torn. Instead, fibers from the pajama top were found under his wife’s body and in both of his daughter’s bedrooms. One fiber was found under daughter Kristen’s fingernail. 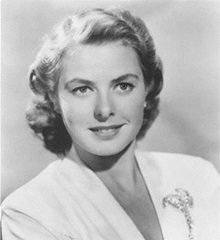 1982 – Swedish-born actress and three-time Academy Award winner Ingrid Bergman died of cancer in London on her 67th birthday. Bergman, who was best known for her role as Ilsa Lund in Casablanca, won a Best Actress Academy Award for Gaslight and Anastasia, and also won in the category of Best Actress in a Supporting Role, for Murder On The Orient Express. 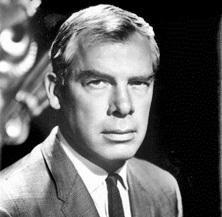 1987 – Actor Lee Marvin died of a heart attack at the age of 63. Marvin starred as Detective Lieutenant Frank Ballinger in television series, M Squad, but is best known for his appearances in films such as The Wild One, Bad Day At Black Rock, The Man Who Shot Liberty Valance, The Dirty Dozen, Paint Your Wagon and Cat Ballou (for which he won the Best Actor Academy Award). 2005 – Hurricane Katrina made landfall near New Orleans as a Category 4 hurricane. Despite being only the third most powerful storm of the 2005 hurricane season, Katrina was the worst natural disaster in the history of the United States. After briefly coming ashore in southern Florida on August 25 as a Category 1 hurricane, Katrina gained strength before slamming into the Gulf Coast on this date. In addition to bringing devastation to the New Orleans area, the hurricane caused damage along the coasts of Mississippi and Alabama, as well as other parts of Louisiana. The storm also set off 36 tornadoes in Mississippi, Alabama, Georgia, Pennsylvania, and Virginia. 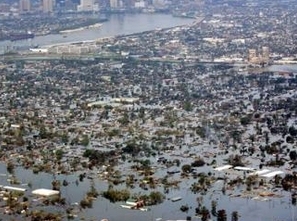 Hurricane Katrina was the most costly natural disaster in American history, with damages of more than $80 billion. In all, more than 1,800 people died, 1 million more were displaced and 400,000 lost their jobs as a result of the disaster. Even one year later, despite efforts to rebuild the city, large parts of New Orleans remained heavily damaged and thousands remained homeless or unemployed. 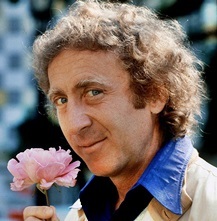 2016 – Actor Gene Wilder died at the age of 83 from complications of Alzheimer’s disease. Although his first film role was portraying a hostage in Bonnie and Clyde, Wilder’s first major role was as Leopold Bloom in the 1967 film The Producers for which he was nominated for an Academy Award for Best Supporting Actor. This was the first in a series of collaborations with writer/director Mel Brooks, including Blazing Saddles and Young Frankenstein. He played the title role in Willy Wonka & The Chocolate Factory before co-starring in a number of films with Richard Pryor (Silver Streak, Stir Crazy, See No Evil, Hear No Evil, and Another You.